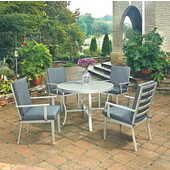 Home Styles South Beach collection of patio dining sets and chairs are the perfect way to bring a little coastal ambience to any patio or backyard. 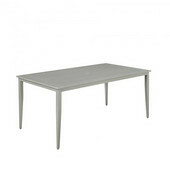 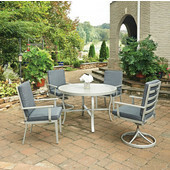 Table and chairs feature contemporary designs like slat backs, and plank table tops. 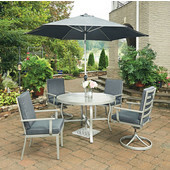 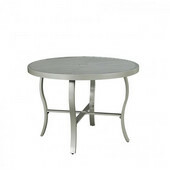 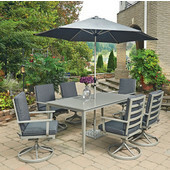 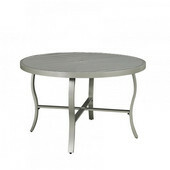 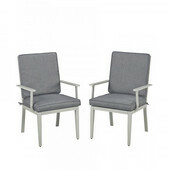 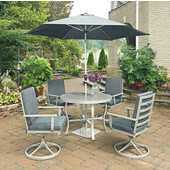 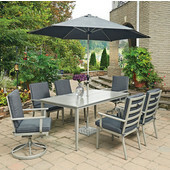 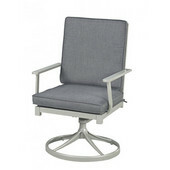 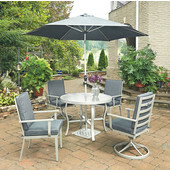 Made of lightweight and durable extruded aluminum with matching weather resistant finish and cushions; these pieces will bring you years of maintenance free usage. 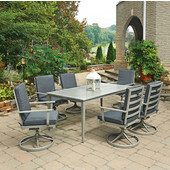 Choose between several different configurations of chairs and tables to suit your space or needs. 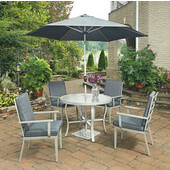 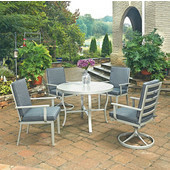 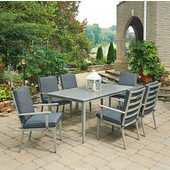 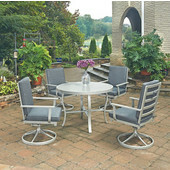 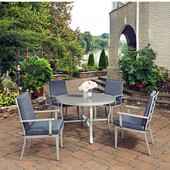 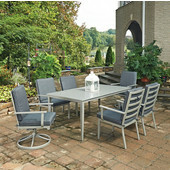 Home Styles South Beach collection is sure to provide you with a long lasting and stylish center for any patio or deck.